In addition to celebrated and world famous collections Florence offers an astounding number of smaller, intimate collections that reveal hidden artistic treasures in rich historical settings and allow the visitor to discover more nuanced aspects of life, society and collecting. Many of these house museums were former private homes, mansions or showrooms of collectors and antiquarians and the enjoyment of visits is favored by the more intimate size and by the peaceful atmosphere you still encounter here. A guided tour to one or more of these museums is a key to complete piece after piece the complex mosaic of the history of Florence. 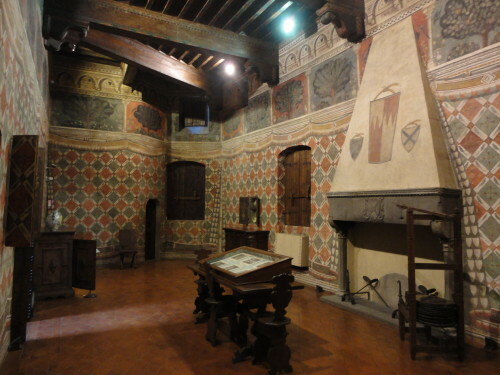 The Palazzo Davanzati is an exceptional case of a medieval merchant’s house in almost perfect condition. Sensitive owners and collectors preserved its unique structure and peculiarities: the wonderful wall decorations, the staircase and the courtyard have a great impact when entering its massive walls. It is a real travel in time leading to the discovery of aspects of everyday life: beds, cradles and the typical cassoni (dowry chests) are displayed in the rooms next to ceramics, kitchen tools and a rich collection of embroideries, platform shoes and countless items making the discovery of the past an unforgettable experience. This collection is a bequest of the art critic and connoisseur Herbert Percy Horne, who whished to donate his residence, a Medieval palace and its content, to his adoptive city, Florence. Horne moved from England in order to write a monograph on Botticelli and earned a living as an art dealer. 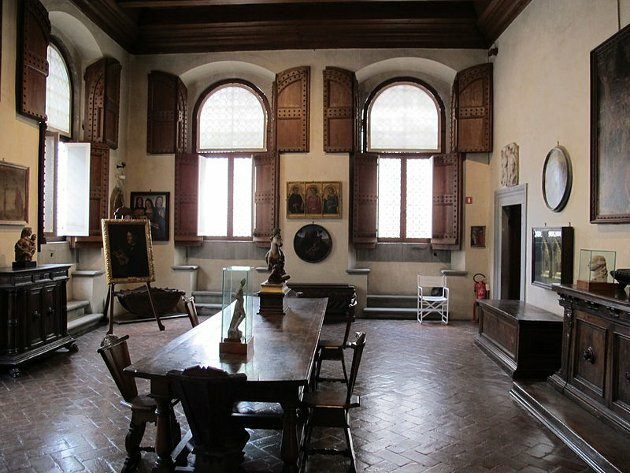 His passion for the Renaissance led him to revive that ideal setting in a Florentine Palazzo and thanks to his taste and eye Horne put together a collection of real gems: Giotto, Simone Martini, Dosso Dossi and Tiepolo are some of the painters represented in a house still smelling of scholarly studies and refined entertainment. Stefano Bardini was probably the luckiest and most resourceful antique dealer in cosmopolitan Florence of the turn of the past century. Great American collectors and directors of the major European museums attended his showroom regularly. They found great presentations and suggestions to enhance the artworks and objects Bardini had been hunting all over Italy. The Casa Martelli is an interesting example of an 18th-century nobleman’s home and of a wealthy family’s tastes in collecting. In 1738 Niccolò and Giuseppe Maria Martelli employed the architect Bernardo Ciurini to transform several houses into the present palace. The interior includes Baroque, Rococo and Romantic décor and furniture (stucco and frescoes, iron railings). 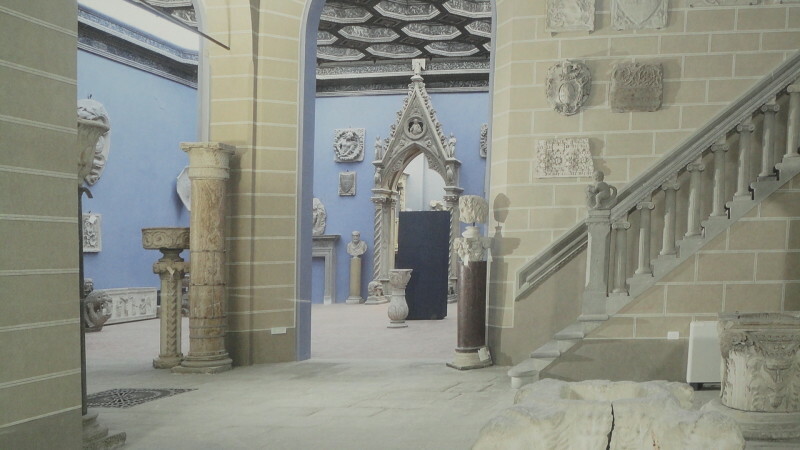 The fine collection of art works belonging to the family was arranged in a specially designed suite of rooms. Is the last example of an 18th-century Florentine collection that has been preserved intact and is open to the public.